Ticket Galaxy is the Exclusive Secondary Ticket Partner of the 25th PBR: Unleash the Beast Series. 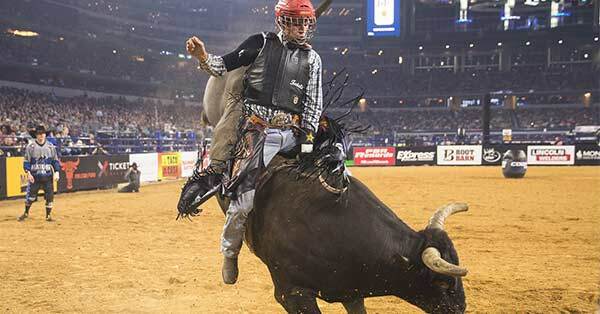 The PBR Finals are the culmination of another crazy, intense bull-riding season. Get PBR World Finals tickets for PBR's 25th Anniversary season here at Ticket Galaxy, and see all of the Finals action live. Professional Bull Riders (PBR) World Finals occur every year in early November. Las Vegas's T-Mobile Arena is the home to the PBR World Finals . The finest bull riders from around the world gather for the event that runs from Wednesday through Sunday. Get PBR World Finals tickets here at Ticket Galaxy! Professional Bull Riders (PBR) began in 1992 as a twenty-rider organization that turned into the "fastest-growing sport in America." Bull riding is a competition between man and animal. A bull rider attempts to stay on a bucking bull for eight seconds. With the ferocity and strength of a bull, this sport is extremely dangerous and exciting to watch. PBR is celebrating is 25th Anniversary for its 2018 Tour.